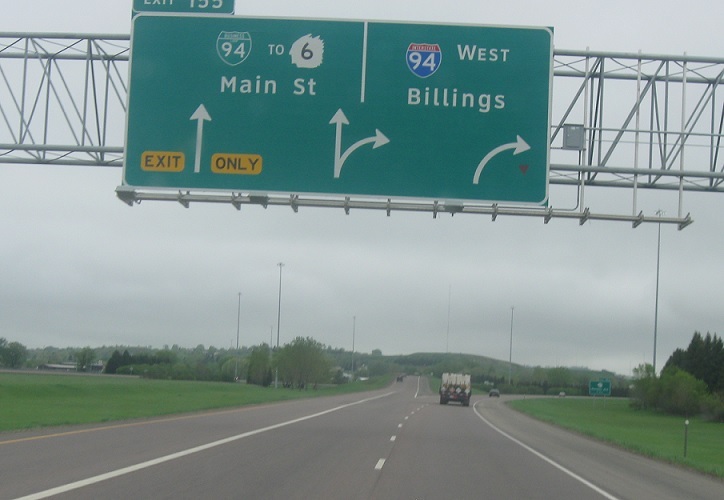 Just after the I-194 exit, we’ll cross into Mandan and an access to I-94 Business will exit from the left. Keep left to connect to I-94 Business and right for I-94. Exit for I-94 Business. 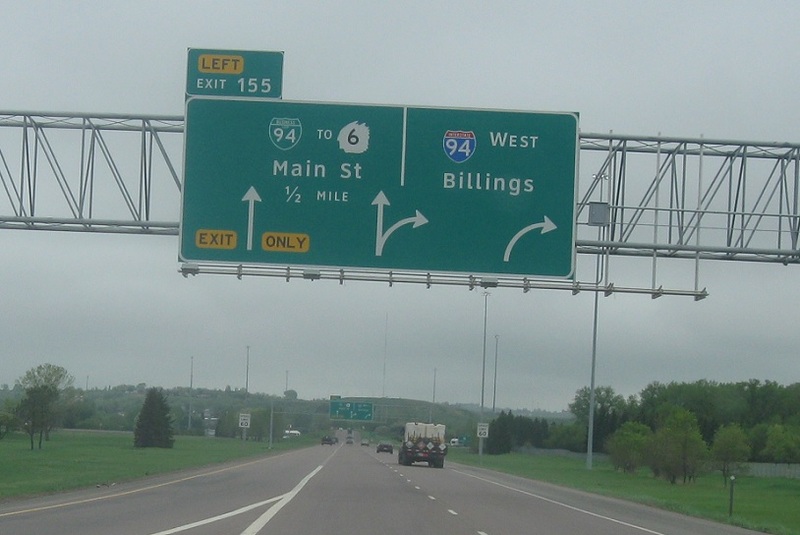 This is a rare business loop interchange that is not a terminus of the loop, which goes from the east edge of Bismarck to the west edge of Mandan.